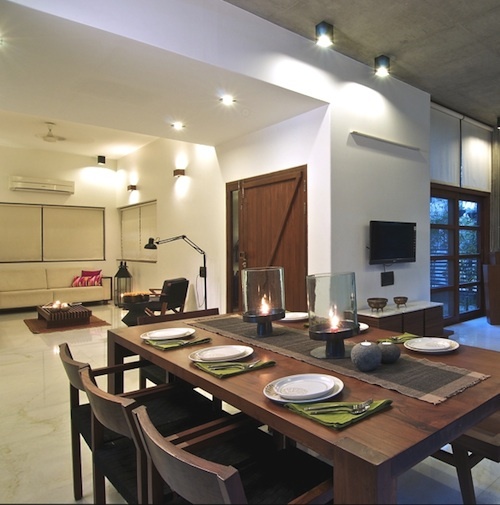 The Green House is an unassumingly sustainable home in the Indian city of Ahmedabad, in Gujarat, by Hiren Patel Architects. 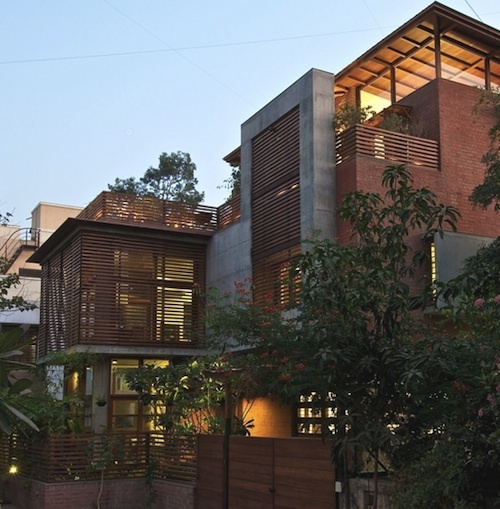 The house features open air ventilation and screened exteriors for a mildly green flavor. 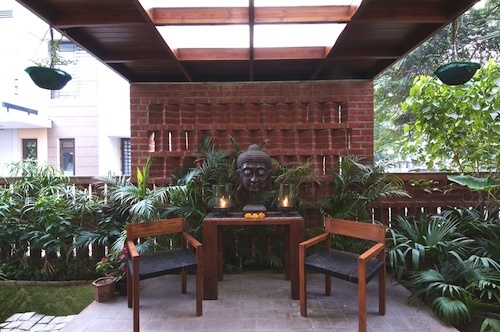 An outdoor room creates a sacred space that gives the sense of a little distance from the neighbours. 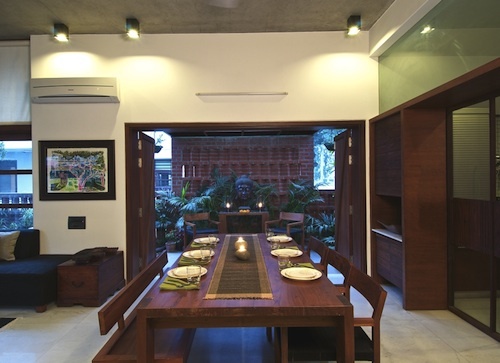 The tranquil gaze of the Buddha moderates appetites from the head of the table in the indoor/outdoor dining room. A certain sweetness marks the typically Indian design. 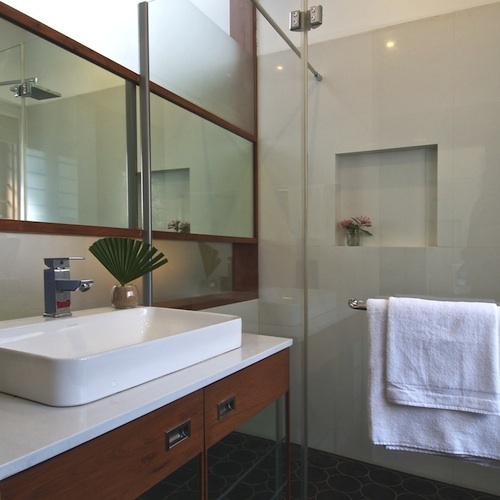 The design interprets contemporary and clean modern lines – but with a traditionally Indian charm that recollects a quiet past. 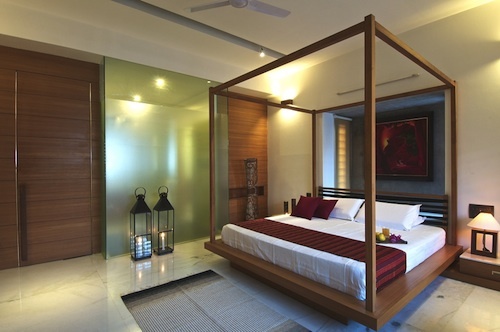 Bedrooms are places of serenity and rest. 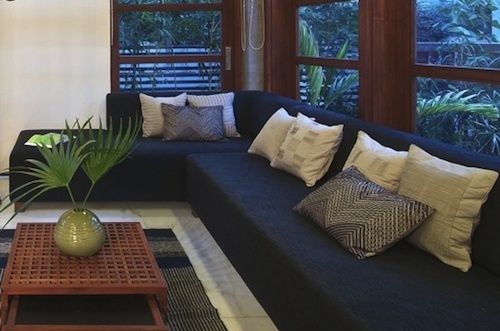 The house is designed for a large family to enjoy shared spaces and private places too. 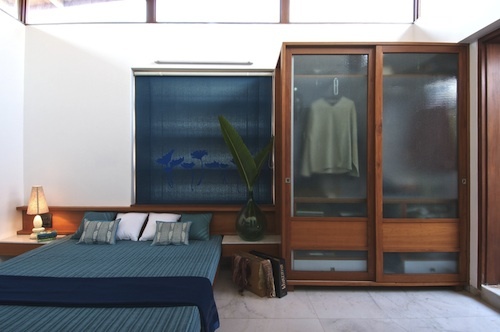 A series of indoor-outdoor loggias offers the promise of breezy outdoor evenings, scented by frangipani. 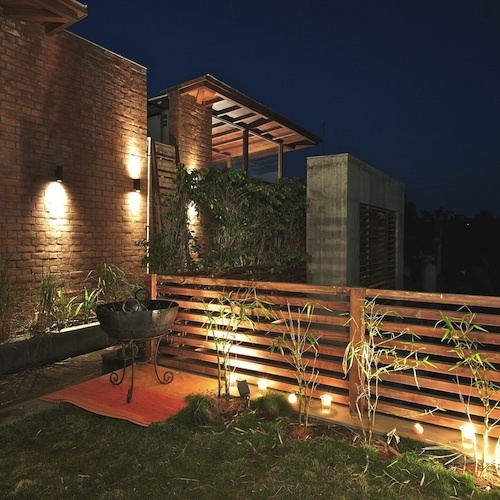 The green features include the virtues of exterior shutters for screening the heat in tropical climates without air conditioning. This entry was posted on Thursday, October 17th, 2013 by Susan Kraemer and is filed under Architecture. You can follow any responses to this entry through the RSS 2.0 feed. You can leave a comment.